New Delhi: AAP government in Delhi will hire one lakh volunteers for healthcare services who will be deployed in hospitals, polyclinics and mohalla clinics. 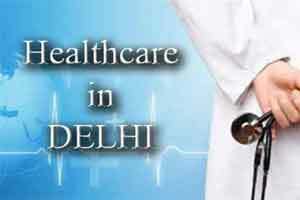 In Delhi, we are going to start volunteer services in the healthcare sector. Government will hire those who want to give their services for two hours in a week in the field as healthcare workers,” Health Minister Satyendar Jain said while addressing Confederation of Indian Industry’s (CII) Annual conference here. He said such volunteers will have to give their services at government’s polyclinics, mohalla clinics and hospitals. “We will add one lakh volunteers in the health care services,” he said. The minister said the government will construct 70 neuropathy centers in various parts of the national capital. “Besides, we will also set up physiotherapy centers,” Jain said.